As prices have soared in areas such as Aspen, Miami and the Hamptons, some buyers are seeking out alternatives that offer luxury for a (relatively) affordable sum. With its world-class skiing and mountainous natural beauty, Idaho’s Sun Valley has long attracted celebrities like Bruce Willis, and plays host to the annual Allen & Co. conference that draws media and tech moguls. But partly due to its remote location in the narrow Wood River Valley, hours from a major airport, the area remains far less developed—and less expensive—than other luxury Western ski enclaves like Aspen, Colo., or Jackson Hole, Wyo. “You can really get a good value up there if you know what you’re doing,” said Claudia Graham, a Los Angeles-based biomedical company executive who recently paid $1.8 million for a three-bedroom log cabin on over an acre in Ketchum, where most of Sun Valley’s restaurants and nightlife are located. 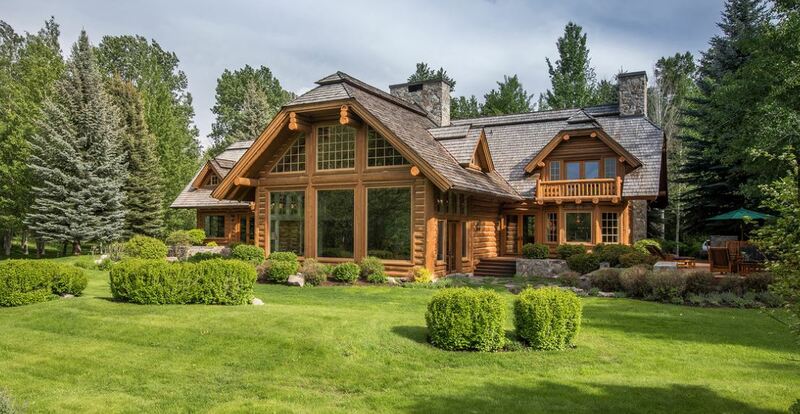 Last winter, Minneapolis resident Ranee Jacobus and her husband Randy, together with Mr. Jacobus’s business partner, bought an 85-acre property in nearby Hailey for $3.85 million. The property contains a roughly 7,300-square-foot log frame house and a guesthouse, both with mountain views. Prices in the Sun Valley area (which generally refers to Sun Valley resort and surrounding towns) are a half to a third of those in Aspen, according to real-estate agent Sue Engelmann of Sun Valley Sotheby’s International Realty. The catch: getting there. Flights to Hailey’s tiny airport face challenges landing in bad weather, diverting travelers to Boise or Twin Falls, where they are bused two or three hours to Sun Valley. And there are no non-stop flights to Hailey from major hubs like New York City, Boston or Chicago, although the airport has recently added non-stop flights from San Francisco and Denver.